Elections in the world’s largest democracy kick off tomorrow (April 7) in a fairly low key way, with voting in just six out of 543 constituencies across the nation. That still represents an estimated 6.4 million eligible voters - enough to constitute a small nation in other contexts, but barely a drop in the bucket in a nation with over 800 million voters. The first to go to the polls across nine phases of voting in the general election over the next five weeks live in a cluster of electorates in remote Northeast India - five in Assam (Dibrugarh, Jorhat, Kaliabor, Lakhimpur and Tezpur) and one in Tripura (Tripura West). The ruling - but, according to the polls, waning - Congress Party is the clear frontrunner in Assam, perhaps the only state where it can claim that position. In previous elections a regional party, the Asom Gana Parishad, has been the main challenger and in the last election, in 2009, it was in an alliance with the Bharatiya Janata Party. This time the two are contesting separately and an aggressive BJP is giving the AGP a tough fight in the latter's own bastion. In 2009, of the five Assam constituencies, Congress lost Tezpur to the main regional party Asom Gana Parishad, and won the other four. Among the 51 candidates in the fray in Assam tomorrow is chief minister Tarun Gogoi’s son Gaurav in Kaliabor, a constituency earlier held by the chief minister’s brother. A lottery magnate, Mani Kumar Subba, is contesting from Tezpur as an independent candidate. Congress rules Assam state. Meanshile, Tripura is a stronghold of the Communist Party of India (Marxist) – the party's last enduring bastion in the country. The CPM is in power in Tripura and is expected to romp home in the Tripura west constituency. The communists have won the Tripura West seat five times in a row since 1996. The Northeast, connected to the rest of India by a narrow strip of land known as Chicken’s Neck north of Bangladesh, is among the most neglected regions of the country, as well as one of its most sensitive. 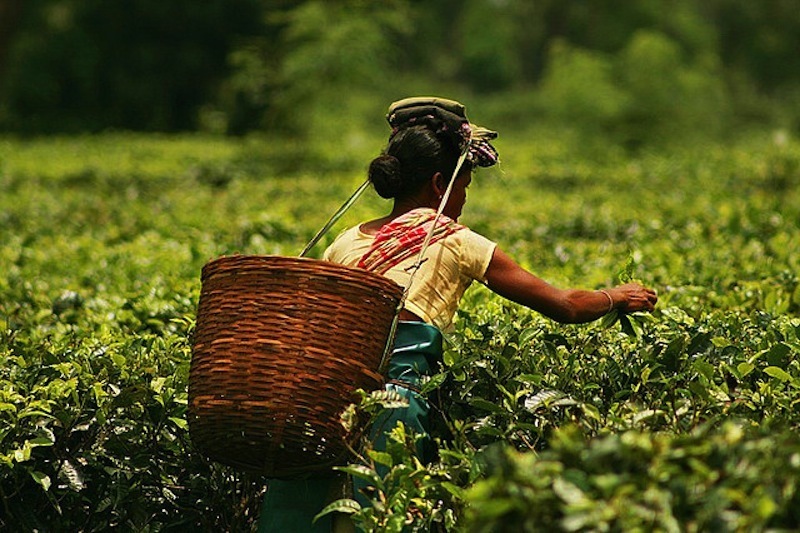 Both tea-growing Assam and Tripura have been buffeted in the recent past by armed insurgencies against the Indian state. While the insurgencies have weakened, the alienation resulting from being bypassed by the rest of India in its quest for economic development remains. Connectivity to other parts of the country and infrastructure development remains inadequate. A study last year predicted that India’s Northeast would create 2.5 million jobs between 2011 and 2021, but that would fall far short of the needs of an estimated 20 million job seekers. Election time is when the region receives unaccustomed high-level attention from national-level political players. Big ticket visitors such as Congress president Sonia Gandhi and BJP prime ministerial candidate Narendra Modi toured through the region, addressing rallies there last week. The two states share borders with Bangladesh. The issue of migrants crossing into India from that country is a hot-button one in both. It is an issue that the BJP loves to play up, stoking fears of “illegal immigration” of Muslims from Bangladesh. At a rally in Assam in February, Modi said India must accommodate Hindus coming in from Bangladesh because they were being harassed there, while Muslims who were being “brought in” by the Congress for “vote bank politics” should be turned away. In Tripura, he accused the Left government of being behind the “infiltration” by Bangladeshi Muslims. Addressing a rally in Lakhimpur in Assam, a constituency that has witnessed tensions between religious communities in the past, Sonia Gandhi asked voters to shun parties that spread hate and divisiveness. Her son and Congress vice-president Rahul Gandhi also spoke at public rallies separately, listing what his party had done for the region. Of the remaining nine constituencies in Assam, six will vote on April 12, and three on April 24. The one remaining constituency in Tripura will vote on April 12. This is the first of nine curtain-raisers exploring the specific issues and histories of the phased voting blocs. The pieces will be published by Election Watch ahead of each of the nine phased days of voting. Details on voting schedule can be found here.